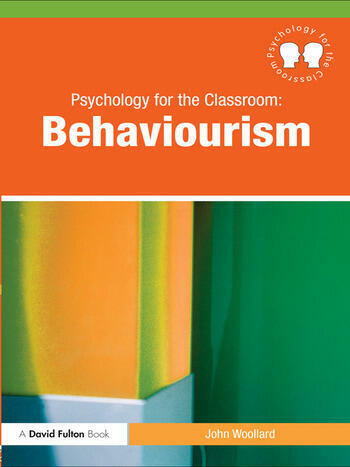 Psychology for the Classroom: Behaviourism describes and reflects upon the foundations of behaviourism and the proliferation of behaviourist techniques in common practice today. Through examples drawn from research, presentation of theory, description of pedagogy and illustration by vignette, the book informs teachers and allows them to modify their teaching in order to take account of what is now known about the way that carefully planned curriculum and appropriately reinforced behaviours lead to learning. There is a particular emphasis upon the role of the traditional principles of behaviourist learning theory and practice to contemporary issues and strategies in e-learning. The author has taken a broad sweep of what has been written and promoted to educators in the area of behaviourist theory and practice, and the result is an informative and potentially very useful guide which should be read by all of us who are interested in, or responsible for, planning and encouraging effective teaching and learning. John Woollard is Lecturer in Information Technology Education in the School of Education at the University of Southampton. He has previously taught in both primary and secondary schools. He now researches teaching and learning with computers.